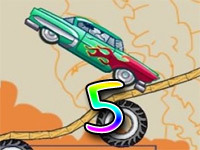 Start your engine for another death defying, thrilling action which takes place in a retro time. Dive into a wonderful dreamland filled with unusual items. The game gives you an impression what it feels like to be rich guy in the retro time. In rich cars 3 all of your exotic cars has been taken by the police now you must win the races to get bail for your cars. If you love action and racing then Rich Cars 3 will definitely provide you hours of entertainment. Rich Cars 3 is the new installment of its franchise. The game takes place in a retro time where you feel like you are also a part of the old-fashioned style and providing you with the experience of leading a life as a rich guy in the old days. The stages of Rich Cars 3 are wonderfully crafted, each of the unique stage imprints the style of vintage lifestyle in your mind. Watch the old themed casino and watch the retro fashioned police vehicles which chase you for your crime. 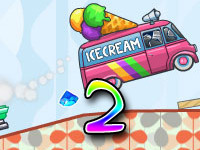 The objective of the game is really simple, reach to the finish line before times runs out. The objective looks simple but completing it can be quite difficult. The stages are very tricky and quite dangerous to drive in. For example – taking a leap towards the unknown, getting chased by cops and jumping off from the peaks of mountains or ramps. 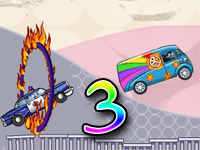 You are an illegal racer on the street and there is no point in playing safe, so pull of deadly stunts to overcome the cops and go far away. 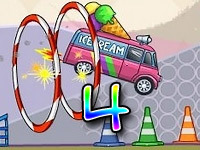 In this game you get to pull some crazy stunts while blazing the road with your nitro boost. Beware though your nitro boost is not infinite, they get depleted very fast, but if you really want to be a speed demon then pulling some stunt will recharge your nitro boost. Even after using the maximum speed, the cops can still keep up causing nuisance in your path. So, bring out your weapons and blast those cops away as you start firing the missiles that’s been installed in your car, the missile can blast anything on your path, be it a cop vehicle or obstacles, everything will be blown into dust. You can carry a limited number of missiles, and once you have used up all the missile you cannot fire anymore. You can recharge your missiles by collecting the missiles found lying in the different part of the stages. Remember to stay away from the missile’s blast radius as they can harm your car as well. 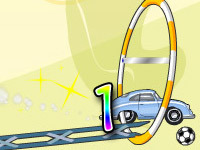 The score also serve as a means of currency for unlocking new cars. There are a wide variety of achievements to complete. Every achievement test your skills and these achievement are very tricky to accomplish. 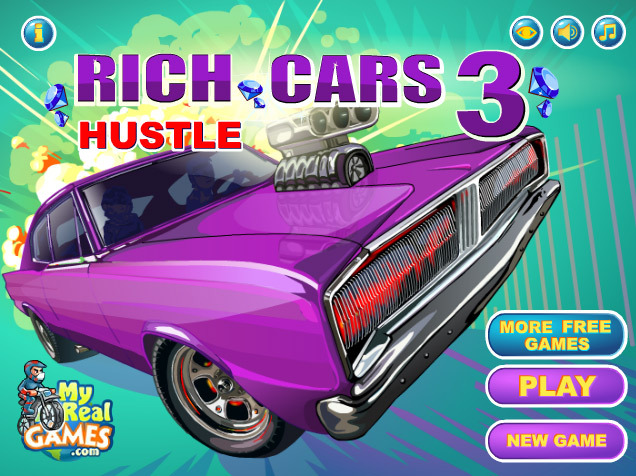 If you want challenge and thrill at the same time, then Rich Cars 3 is the perfect choice.